The concept arose in landscape architect Ian McHarg's famous manifesto "Design With Nature" in which the landscape as we know it is compared to that which ancient men once lived on. The concept was then considered by the fisheries scientist Daniel Pauly in his paper "Anecdotes and the shifting baseline syndrome of fisheries". 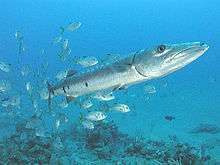 Pauly developed the concept in reference to fisheries management where fisheries scientists sometimes fail to identify the correct "baseline" population size (e.g. how abundant a fish species population was before human exploitation) and thus work with a shifted baseline. 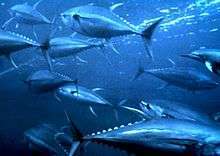 He describes the way that radically depleted fisheries were evaluated by experts who used the state of the fishery at the start of their careers as the baseline, rather than the fishery in its untouched state. Areas that swarmed with a particular species hundreds of years ago, may have experienced long term decline, but it is the level of decades previously that is considered the appropriate reference point for current populations. In this way large declines in ecosystems or species over long periods of time were, and are, masked. There is a loss of perception of change that occurs when each generation redefines what is "natural". Most modern fisheries stock assessments do not ignore historical fishing and account for it by either including the historical catch or use other techniques to reconstruct the depletion level of the population at the start of the period for which adequate data is available. Anecdotes about historical populations levels can be highly unreliable and result in severe mismanagement of the fishery. The concept was further refined and applied to the ecology of kelp forests by Paul Dayton and others from the Scripps Institution of Oceanography. They used a slightly different version of the term in their paper, "Sliding baselines, ghosts, and reduced expectations in kelp forest communities". Both terms refer to a shift over time in the expectation of what a healthy ecosystem baseline looks like. In 2002, filmmaker and former marine biologist Randy Olson broadened the definition of shifting baselines with an op-ed in the Los Angeles Times. He explained the relevance of the concept to all aspects of change and the failure to notice change in the world today. He and coral reef ecologist Jeremy Jackson (of Scripps Institution of Oceanography) co-founded The Shifting Baselines Ocean Media Project in 2003 to help promote a wider understanding and use of the concept in conservation policy. The Shifting Baselines Ocean Media Project grew from its three founding partners (Scripps Institution of Oceanography, The Ocean Conservancy, and Surfrider Foundation) to over twenty conservation groups and science organizations. The project has produced dozens of short films, public service announcements, and Flash videos along with photography, video, and stand-up comedy contests, all intended to promote the term to a broader audience. The Shifting Baselines Blog, "the cure for planetary amnesia" is run by the Shifting Baselines Ocean Media Project on the Seed (magazine) Science Blogs. ↑ McHarg, Ian (1969). Design With Nature. The Natural History Press. pp. 67–70. Dayton PK, Tegner MJ, Edwards PB and Riser KL (1998) "Sliding baselines, ghosts, and reduced expectations in kelp forest communities." Ecological Applications, 8(2):309-322. Papworth SK, Rist J, Coad L and Milner-Gulland EJ (2008) "Evidence for shifting baseline syndrome in conservation" Conservation Letters, 2(2):93-100. Pauly, Daniel (1995) "Anecdotes and the shifting baseline syndrome of fisheries." Trends in Ecology and Evolution, 10(10):430. Pauly, Daniel (2001) "Importance of historical dimension policy management in natural resource systems." ACP-EU Fisheries: Research Report No 8. Puget Sound Partnership _ A 10-minute clip of the effect of shifting baseline on the health of the Puget Sound. Proving the ‘shifting baselines’ theory: how humans consistently misperceive nature Mongabay.com, June 24, 2009. Daniel Pauly: The ocean's shifting baseline TED, 2010.